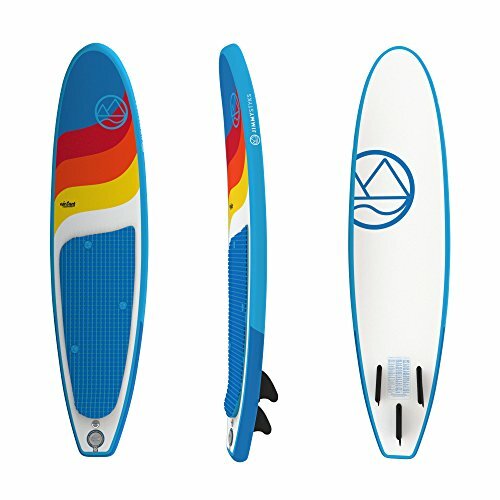 The Jimmy Styks AirSurf inflatable surfboard allows you to take your adventure to the waves. Featuring dual layer fusion construction, the airSurf delivers outstanding stability, rigidity, and durability at a lighter weight. With its roll-n-go portability, the Jimmy Styks airSurf makes catching waves a breeze. If you have any questions about this product by Jimmy Styks, contact us by completing and submitting the form below. If you are looking for a specif part number, please include it with your message. Boardworks Inflatable Raven Grey/Red/White Paddle Board Equipment, 12'6"